The offer is available on any loan amount (as per standard home loan offering of ICICI Bank) with tenure between 15 years to 30 years. One can also transfer his existing home loan to ICICI Bank to avail this offer. ICICI Bank, India's biggest private sector lender, recently launched a new home loan scheme, which offers 1 per cent cashback on every EMI, for the entire tenure of the loan. New home loans with minimum tenure of 15 years will be eligible for this offer, ICICI Bank said. Customers can use this cashback to either to prepay their outstanding home loan or take credit in their ICICI Bank account, the Mumbai-based lender said. The cashback will start to accrue from the first EMI itself. The customer will get the first credit of the cashback after completion of 36th EMI and subsequently after every 12th EMI. "We foresee that a combination of young population and rapid urbanization will lead to the emergence of growing demand for housing in the country. Our new home loan offering offers a compelling and unparalleled benefit of 1% cashback on every EMI to customers. We believe that this proposition will propel customers to fulfill their aspirations of owning a home," Anup Bagchi, executive director at ICICI Bank said. The offer is available on any loan amount (as per standard home loan offering of ICICI Bank) with tenure between 15 years to 30 years. Both resident and non-resident customers are eligible for this loan. One can also transfer his existing home loan to ICICI Bank to avail this offer, the lender said. This cashback offer is also available for loan against property, lease-rental discounting and top-ups on existing mortgage loans. During a conference call on launch of the product, Mr Bagchi said for a home loan of 30 years tenure, the total cash back will amount to nearly 10 per cent of the principal amount. If you take a new home loan of Rs 25 lakh for 30 years from ICICI Bank, the EMI will be Rs 18,957.71. one per cent of this amount will be Rs 189.57. If you get this one per cent every month for the entire tenure of 30 years then the total benefit will be Rs 68,248. 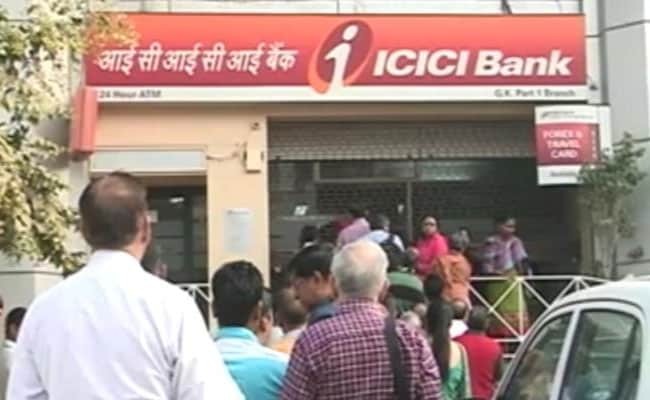 However, if you use this cashback to prepay the principal outstanding, then the total amount you will pay to ICICI Bank will come down by Rs 2,70,668, ICICI Bank said. Recently, Axis Bank had also launched a similar offer called "Shubh Aarambh" under which the private lender offered to waive off four EMIs at the end of 4th, 8th and 12th year of a 20-year home loan for borrowers who are regular in paying their EMI. However, this EMI waiver is applicable on home loans up to Rs 30 lakh.